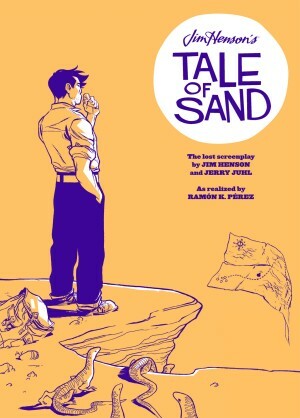 Will Eisner Comic Industry Awards – 2012 Winners Announced. 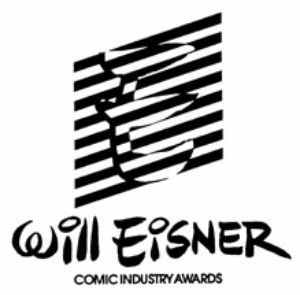 SAN DIEGO – At-Con International (Comic-Con) last evening, the winners of the Will Eisner Comic Industry Awards 2012 were announced. The nominees were chosen by a blue-ribbon panel of judges and the winners were selected by a balloting process open to industry professionals. Canadians were well represented in many categories but the big winners in last evening’s ceremony were Jim Henson’s Tale of Sand (Archaia) by Toronto artist Ramón K. Pérez (winning 3 of the 5 awards the book was nominated for: Best Graphic Album, Best Penciller/Inker or Penciller/Inker Team, and Best Publication Design), and Richard Stark’s Parker: The Martini Edition by Halifax’s Darwyn Cooke (winning 2 of the 3 categories in which it was nominated: Best Short Story “The Seventh”, and Best Graphic Album Reprint Material). This has been a big year for both Perez and Cooke, and both are nominated for these respective works in the 2012 Joe Shuster Awards, which will be announced in Montreal on September 15th. 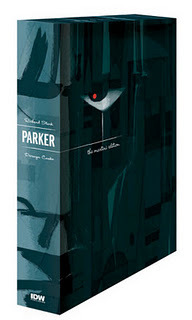 Cooke’s latest Parker adaptation “The Score” was released in stores on Wednesday. Guelph’s The Dragon shared the honours for the Will Eisner Spirit of Comics Retailer Award with Akira Comics in Madrid, Spain. This was The Dragon’s third turn as an Retailer Award Finalist and we are particularly happy for owner Jennifer Haines and staff and family as they are also sponsors of the Joe Shuster Awards. This was a well-deserved honour. Finally, Montreal publisher Drawn + Quarterly’s translation of Shigeru Mizuki’s Onward Torwards our Noble Deaths took home the Best International Publication Edition award. Ballots were sent out in mid-April to comics creators, editors, publishers, and retailers. A downloadable pdf of the ballot was available online, and a special website was set up for online voting. The Eisner Awards are part of Comic-Con International, a nonprofit educational organization dedicated to creating awareness of and appreciation for comics and related popular art forms, primarily through the presentation of conventions and events that celebrate the historic and ongoing contributions of comics to art and culture. Jackie Estrada has been administrator of the Awards since 1990. She can be reached at jackie@comic-con.org. This entry was posted in 2011 Releases, General Announcements, General News, Other Awards, Publishers, Retailers, Webcomic by Kevin A. Boyd. Bookmark the permalink.